Wheeler and Allen is an experienced law firm that is dedicated to guide people through family transitions. Since a decision such as divorce or child custody has a far-reaching impact on the lives of people, it is imperative to reach out to attorneys that are experienced and well versed. A law firm such as Wheeler and Allen has all the qualities that people look for in an office. It has experienced attorneys that have proven success record. They offer frank and candid legal advice and present clients with a number of choices so that they can settle on a decision which is in the best of their interest. The profound experience enables this law office to get people the results that they desire. The attorneys at this office stay within the reach of its clients all the time. They know how stressful family law issues are and thus love to talk with their clients to extend emotional comfort other than providing them with legal advice. This law firm has the reputation of being one of the most trusted firms in the region as it has been protecting the rights of people in an effective and efficient manner during what can be a difficult transition. The senior lawyers at Wheeler and Allen handle every case personally. Unlike other law firm, the office does not believe in letting the junior staff look into the legal concerns of its clients. The attorneys prepare and file documents and do all other related task related to the cases personally. The concerned attorneys at Wheeler and Allen present their clients with a number of options and help them understand what can be most suitable for them. Be it child custody, child support, alimony or property division, a case in the hands of this law firm is sure to end in the favor of its clients.  Q:What areas of family law are covered at Allen law firm? A:The Allen law firm located in Salem, Oregan specifically specializes in family law. The areas of family law covered at the firm are Divorce, Child Custody, Child Support, Alimony, Division of Property and long distance moves with children. The firm also caters gay and lesbian couples and also provides legal services to clients who have not been married. The principal lawyer at the firm William A.Allen has over 14 years of legal experience and also deals with Medical Malpractice and Adoption cases.